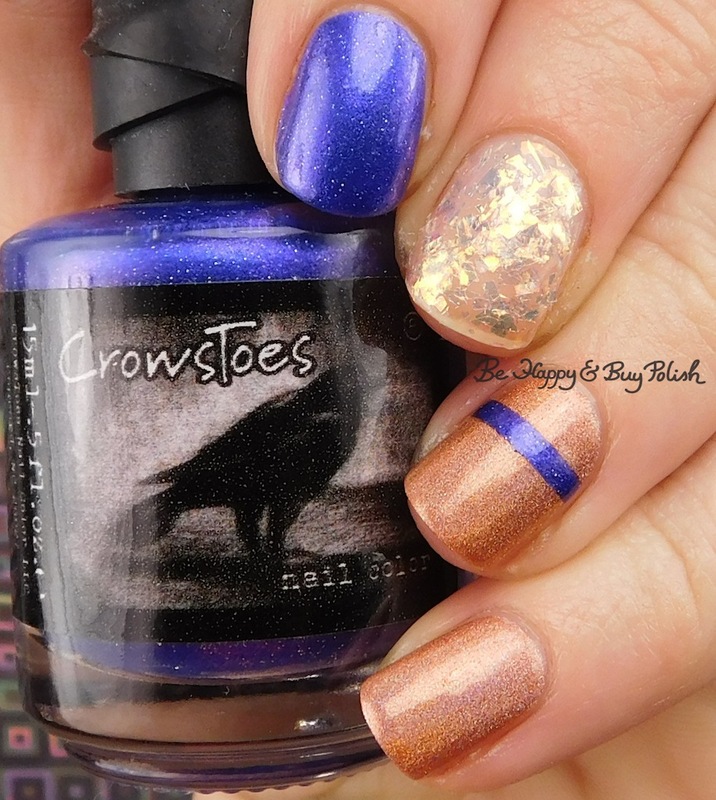 CrowsToes Nail Color Power Stone, 2 coats plus 2 coats of top coat. This had good consistency and formula but for extra shine, I needed 2 coats of top coat. This was from January 2018 Polish Pickup Pack. Blackheart Beauty BH White AB Flakes, sponged on bare nail with matte top coat and 2 coats of shiny top coat. This was so thick, even sponging it on. And the flakes stick up. 😦 1/10 do not recommend. Dreamland Lacquer Dragonberry (faded), 3 coats plus 1 coat of top coat. This is from Hella Holo Customs April 2016, about time I used it. This is the original Dragonberry that was replaced because it was a fader. It’s a lovely almost sherbet orange now. So this is my current mani and to be honest I hated it until I added that simple stripe across my nail. How can one little change make such a huge difference? Who knows. Anyway, I couldn’t get color accuracy on the CrowsToes and I fiddled with color settings until my eyes crossed. It’s a much more vibrant purple (not blue) in real life, it freaking glows. I think part of why I am finding blogging a drag (please read yesterday’s post if you haven’t already) is because I have a backlog of manis that I want to show you first so I don’t end up showing you what’s currently on my nails and I lose my excitement over my nails. No more! This is my current mani. Good morning all! I hope that you are having a good Memorial Day weekend if you are in the USA, and a good Monday regardless. Every Memorial Day, my children and I go to lay flowers at my uncle’s grave. His remains were recovered from the Vietnam War and came home a few years ago. It has always been my honor to go visit every year and lay flowers at his grave and pay my respects. 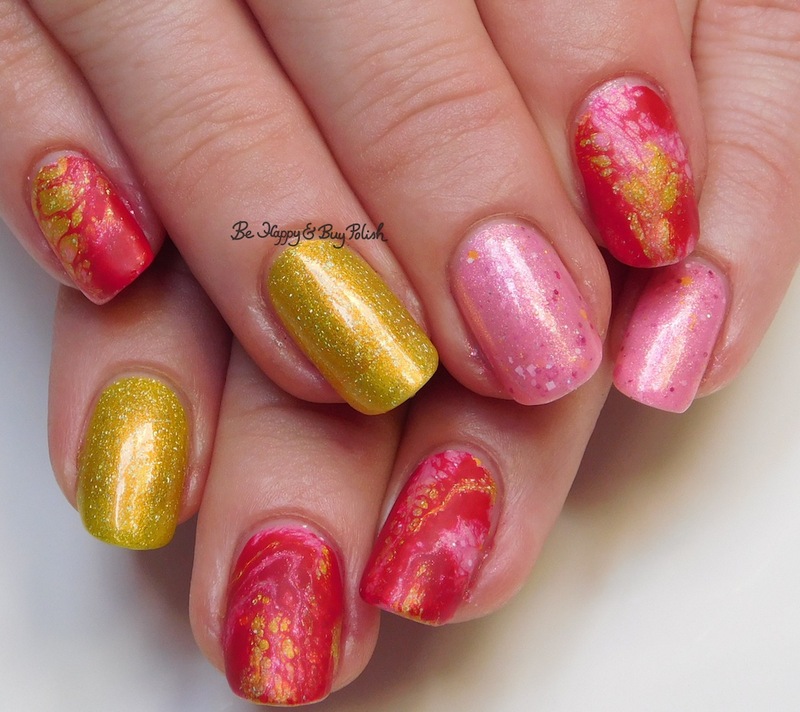 At any rate, I do have some nail art to show you today with Girly Bits Cosmetics In One Year and Out the Other, Girly Bits Steely Resolution, Dreamland Lacquer Dragonberry II [Hella Holo Customs polish], and nail gems from Crystal Parade.